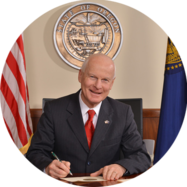 PORTLAND, OR — Today, Secretary of State Dennis Richardson will tour the Multnomah County Elections Voting Center Express in Gresham. This is the first voting center of its kind in Oregon where Oregonians can go to receive elections assistance, receive a replacement ballot, get their questions answered, and turn in their ballot. Secretary Richardson will be touring this voting center and gathering information. He is inviting members of the press to attend this tour alongside him to learn more about the Voting Center Express and its function. If you are interested in attending, please arrive at the facility (600 NE 8th Street, Gresham OR) by 2:00pm.